Why you should become an Operator: I’m an experienced staff member, having served on both classic and SMP for over a year. I’m well known within the community, and always happy to help out, whether with building advice or general guidance. I’ve staffed on creative servers in the past, so understand some of the challenges that come with it. I believe that I can and will be a helpful addition to the staffing team if chosen. General Discussion / Small Skin Modification - Paying 10k! Hi there, I need a small modification to my skin. I would like a black bow-tie added. Here is a link to download my skin. There will be a reward of 3k to the best modification. I will lock this topic once I am happy with the result, and reward the victor. Please note: I don't want the skin changed or modified in any way save a bow tie being added. Why you should become a moderator: I think in the 7 or so months since my last app, and 14 months before that one, I have changed. I believe that I have matured, and shown myself to be a capable and trustworthy player (Not including the single grief trap ban (ian6) which triggered when I was digging under the floor, which was made of grass). In this time I have also become friendly with many of the players who used to dislike me, and while I post less on the forum, I am no less active in the community. I think that I can and will be a helpful addition to the staffing team if chosen. 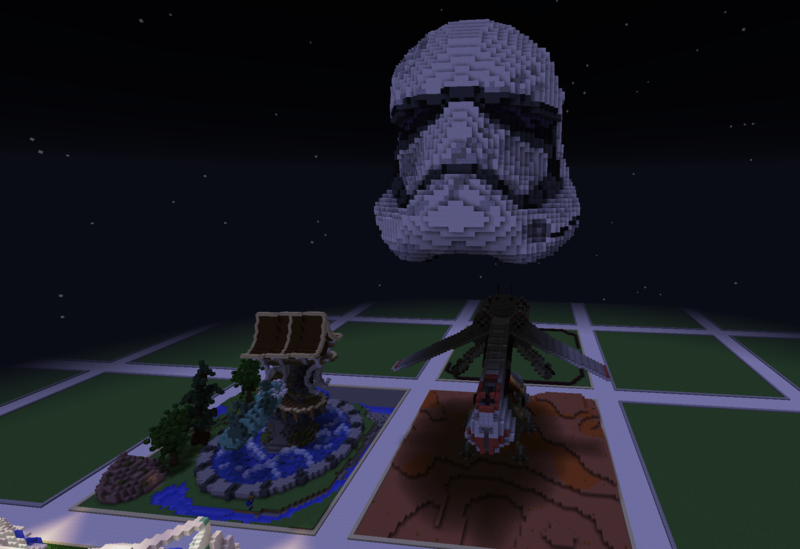 I am experienced with staffing SMP servers from several other servers. I'm having a problem scrolling with the forum. I use Internet Explorer 10 (sue me), and after upgrading noticed that the website scroll bar is broken for me. I can still scroll up and down using arrow keys, but not using the bar on the right. As I use a laptop, I don't have a scroll wheel. I don't have this problem on any other website, including other SMF forums using this theme (Kani). Also, just a note, I would appreciate if you don't bother writing "internet explorer sux, use "..."!! !111", I honestly haven't found a reason to change yet. Thanks. Ps. Not sure if this is the right place, I know this is support for the server, not the website. If it's wrong, please move. Just noticed 1.4.6 has been released. * Added fireworks * Added enchantable books * A lot of enchantments have been tweaked * A Christmas surprise * Added option to enable touchscreen input for buttons and inventory * Many issues have been fixed! DO NOT UPDATE until Optical has confirmed that the server is compatible. Note: If you do want to update, keep a back up of your minecraft.jar (Or even your whole .minecraft). But as that is at a risk of being locked, I figured that I would throw this out there. What do you people think? Maybe the builder+ thing could be modified for people who have never been on classic, but still are great builders (I can think of a few). Before I begin, I would like to put in a small anecdote. I know many of you guys may, or may not have encountered me in the past. Back then, I was less of a mature player. I fully admit it now, and it isn’t something I’m proud of. However, I’ve been looking back on my 1 year, 7 months of activity and I’ve realised something. I believe its time to give back to the server. I’ve greatly enjoyed the time I’ve spent online so far, and hope I spend a lot longer on Opticraft, but I feel like it is my turn now, to return the fun times I’ve had on this server, and pass it along to other players. This brings me neatly back to my application. I believe that as a mod, I could be devoted and mature enough to help out the staff team. I have noticed the staff team shrinking as of late, with there being a couple of hours sometimes, with not a single staff. I think I could help remedy this issue. I am fairly experienced in staffing generally, from my history of WoW guilds to operating our classic server, to the current day, where I co-own a Planetside 2 outfit, and administrate/staff on two different servers. I understand the ideologies of Minecrafters more than most, due to my time both here, and around many other servers. My activity is fairly high, I often spend up to 3 or 4 hours online each night, which I feel could be devoted towards helping others. I am not currently doing much in-game, apart from chatting to other players, or occasionally mining, so I don’t think that breaking off will be an issue to me, as it is to some players. I fully understand a few players still may have concerns about me applying, and I am very open to questions. Just when you thought there were no more ocelot eggs... You have the chance to buy yourself a pair of these fantastic eggs, showing off your status, for one time only. These are entirely legit-spawned items, which can only be obtained via creative mode. Here is your opportunity to get something entirely unique, that you can be proud about. Also included are 2 all new, in 1.4, item frames, for added convenience. End Of Auction: 3 days after last bid. I reserve the right to cancel or end this at any point. You cannot back out of a bid after posting, unless someone bids higher than you. NOTE: Please only post if you are bidding. - Extra details Ban reason: continously coming into my house without permission/possible glitching through. I was not aware that going into a house without permission was a rule now, and I did not glitch (For once xD) and Awicia has no proof to suggest I did, other than the fact I can get into her home. The point where I got banned though, I wasn't even in her home. I had just done /home awesomealicia mine and run up to her (I'm still trying to AFK box her, and she wasn't moving). Reason for application: If I'm honest, I miss my rank. I also miss how classic used to be, filled with happy players. I'm not stupid enough to think I could change that all by myself, but I think that I could make a positive difference, and help the server to grow a bit again. Why you should become an operator: I've got the skills, the commands, the experiance etc. I'm going away on holiday for a bit, not quite sure how long, but I just wanted to let you guys know, because of course, you're all desperatly missing me, and you might start to panic. - Did you upset an operator/ moderator or cause general disrespect to other members/ players on the server? Oh, definitely. I think they were upset by the bit where I had an opinion. This opinion was not about the judgement of any of the staff members, in relation to their job of modding the server (Well at first, there were a few unreasonable kicks, such as Duinis for trying to stop an arguement) but just a conversation I was having with Medu. - Did you draw hateful symbols or say hateful remarks? Depends what you mean by "hateful". Medu said she didn't like me, and I replied that I didn't really like her either. Is that hateful these days?